← Pop vs MoTab: Can we please have it all? 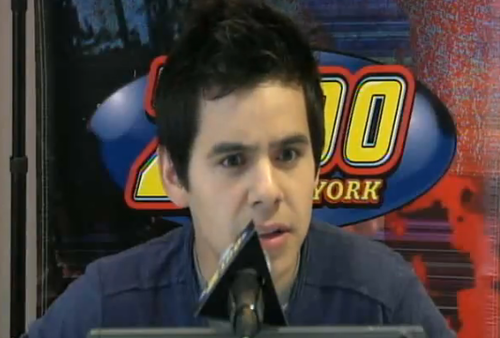 David Archuleta Tour: We need deets and we need them now. Sincerely, a friend. Okay, there’s no denying 2010 was a banner year for David Archuleta fans. Just skimming this amazing list from Janel on FOD, I see we had the Honduras trip, Somos el Mundo, new music at the A.I. Finale after-party and in Rexburg, Chords of Strength, The Other Side of Down album release, (did I mention new music?) … along with my personal favourite monumental event of the year… Z100 Elevator (ha, bet you thought I was gonna say MoTab… that’s in a class all its own!). One thing we fans did NOT get in 2010 was … TOUURRRRRRRRRR!!!!!!!!!!! Yes, okay, we had those amazing book signing a cappella performances (one with a megaphone, for Pete’s sake) and a bunch of amazing acoustic radio promo events, and yes MoTab the Magnificent … but no “tour” as such. No full-blown extravaganza of mosh madness to as-yet-unperformed gems like Look Around and Good Place. No ninja vids of brilliant cover songs that outdo the original in every way. No chanting DA-VID! DA-VID! DA-VID! until we are actually surprised when he jets out on stage. No cheering for an encore until our throats hurt … ahh, good times. I’ve kind of given up hope for Canadian tour stops, but an international tour to countries that show David the love and support he deserves (and who videotape brilliantly!) would be awesome too. "What do you mean there's no more pad thai?????" To take our minds off this pre-tour drought, here’s a little contest for anyone who wants to enter. Simply mention in the comments why you think your city would make a good tour stop and we’ll do a random draw for a winner! (Or supply a caption for the picture below!) Have fun! Supply your caption in the comments for your chance to win a TOSOD Fan Pack! This entry was posted in Fan experience, Utter nonsense and tagged coming soon to a planet near you, David Archuleta. Bookmark the permalink. 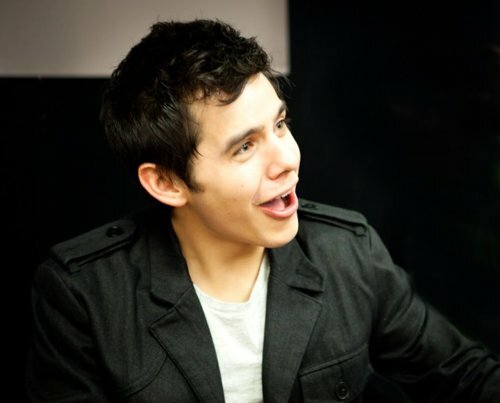 88 Responses to David Archuleta Tour: We need deets and we need them now. Sincerely, a friend. Okay, I’m certainly like a tour stop in Atlanta, but, I’m going to say I’d like for Alabama to have one, say Tuscaloosa, AL or Huntsville, AL because Alabama hasn’t really had much opportunity for a David concert. Plus, I can still get there easily ;). 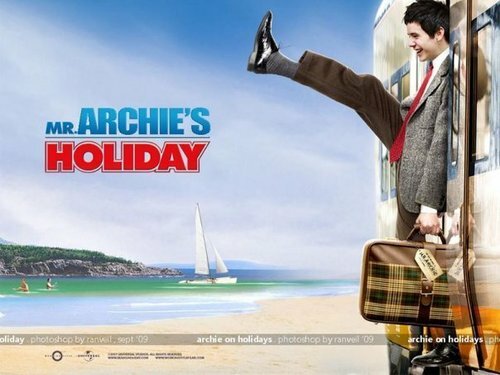 TOfan, haha, love the Mr Archie’s Holiday pic! After a year of no touring (albeit an extremely productive year for our guy) we will take tours in Timbuktu! Videos ftw! vlog, pure David, pure love. Why did I get a feeling he was excited about something, like he was trying not to smile too big, as if there was something he wished he could talk about but couldn’t….idk, probably just my overactive imagination. Tofan, wanted to thank you for the mp3’s of the NYE songs. Made a CD and played them in my car today. Holy cow, the audio is amazing compared to vids on my computer. And his voice, in what, 28 degree weather! It sounds like a recording! And you can really hear the crowd, and they were loving him. I noticed on the video when he is on stage, there is alot more cameras and cell phones up in the air, lol! emme, aren’t they aMAZing! The YouTube views for the mjs & thop1984 vids alone are up to 8,410 (Elevator) & 7,864 (TOSOD)… woot!!! If anyone still needs mp3s, you can download them HERE. P.S. If you tweet about the poll, be sure not to mention the competition’s name. We don’t want to help alert his fans! Loving the vlog! He looks so happy ALL the time it still blows my mind (I should be used to it by now)! Ride a blimp as a resolution! He’s funny – he’s so serious sometimes and then he comes out with something like this. Hahaha, oh David. And I have NOT given up hope for Canadian dates! I see no reason why it’s any less likely now than it ever was before. It could still totally happen *wishful thinking*. But either way I’m hoping for a tour soon. Even if I can’t go, videos are awesome 🙂 And I wish venues (or management? I have no idea who cares about this) would not care about videoing. As much as I appreciate ninja vids, it’s nice to have the good video to go with the audio. waaaaaa, that is the BEST caption!!! lol! If he ever does come to Vancouver, he wouldn’t have to say…”what do you mean there’s no more pad thai!! !” Lots of it here, lol. Love the pics. So good to have another vlog from David. Never fails to put a huge smile on my face. Aw, always so heartfelt. International touring would be great for those supportive fans waiting anxiously to see him (even if it doesn’t include Canada). Looking forward to what’s up ahead though! What a year 2010 was for David, wow. And yes….the MP3s from NYE are pretty amazing. Love all the buzz about it, he is so buzzworthy! peppertara, meant to bring over your comment from the end of the last thread … love this! (used the blanks in a couple of words just for David). There’s also a poll for the best holiday album posted on the American Idol website. Please vote for Christmas From The Heart! Yet another poll: Who is Utah’s Greatest “Musical Claim to Fame”? First I want to say that I love reading this blog. You all are very talented writers and passionate about David, and I find your articles very insightful. Don’t give up on David visiting Canada. I bet it will happen. We Texans didn’t think that he would ever come back here and then, suddenly, he had three appearances in two weeks. So two of those were really limited performances, but we’ll take anything that we can get here. I would like to nominate Austin, TX as a great tour stop for David. He has never appeared here. We are the capital of Texas and are centrally located for easy access. (Or at least as easy as it gets in a state this big. An eight hour drive is not that long for David’s fans, right?) We are a very music-oriented city. We are known as “The Live Music Capital of the World” with over 200 live music venues in our city. We are the home of the legendary PBS program “Austin City Limits” which began in 1976. We are the home of the “ACL Music Festival”, an outdoor fest celebrating 10 yrs this Sept., which this past fall hosted 125 acts on 8 stages over 3 days and had approximately 80,000 attendees. Austin also hosts the South by Southwest (SXSW) music fest and conference. The fest, which is held in March, began in 1987 and has grown to include over 2,000 acts from all over the world playing in over 90 venues in downtown Austin. The music industry conference, which is held at the same time, had over 13,000 industry reps attending last year. This city lives and breaths music. On any given night you can find acts performing any kind of music you want to hear; jazz, rock, hip hop, country, tejano, indie, rap, pop, etc., basically anything you like. It is my dream to actually hear David perform here in our fair city. He can perform in any size venue that he likes, from tiny clubs to a stadium that holds 100,000+. We have some wonderful outdoor venues built specifically for music, including one that overlooks the Texas Hill Country, that David would love. Okay, now that I have said all of that, I think I will apply for a job with the local tourism office. wow, I didn’t know all that about Austin – great info and promo! You should send it to Melinda! David could never come to my city as the population is 2300 on a good day (including the surrounding Twp, lol) And there isn’t a venue, unless he wanted to stand in the town gazebo next to the mill on the river, lol. On second thought….. TOfan!!!! Having David come to Canada, lol, especially a Southern Ontario mini tour , would be dream come true>>> Guelph, Kitchener, Waterloo, Hamilton…. can You imagine!!! Love the vlog…. as always, it’s perfect, except for the very uncommitted mention of tour….. 😦 Announcements can not come soon enough. I hope the fact that the thop & mjs YouTubes from New Year’s Eve Live now total over 10,000 views for each song convinces David’s new mgmt he needs to perform more on primetime TV!!! A Seatte, Vancouver, Portland tour would be wonderful! Loving all the cute captions here, lol. I’m a long time “reader” here, I love this blog and all the comments. I hope David will come back to Europe for a tour or just to promote his album. I’m willing to travel anywhere in Europe to see him (but UK or France would be great !). We love pop here and I think there is more chance for him to be played on the radios. I don’t know why he never really did any promo for his album when he was touring with McFly, all I know is that even if almost noone knew who he was, they really enjoyed him. In my opinion, they (Jive or his former management) wasted a good opportunity to have his music known in Europe. Also, thanks for the great recaps of David’s shows with the Mormon Tabernacle Choir, reading them is almost like I was there ! David’s fans are the best for sharing their experiences and it’s really cool for persons like me who can’t attend his shows ! Welcome, zami!!! Where in Europe are you from? Did you go to any of the McFly shows? I so agree… Jive seemed to miss a great opportunity to promote David in Europe … the fact that he could get such a great response to Angels in the U.K. was impressive! I’m from France, I live in Paris. I saw David when he opened for McFly and as expected he was amazing ! It was so great to finally see him and hear him live. My only regret is that I didn’t meet him after the show, one of the reasons is that I’m shy and I didn’t want to sound stupid with my bad English lol. My brother and my friends loved him too, they thought he was too good to be the opener ! “OHMYHECK!! My fans entered me in a contest for a ride in the Goodyear Blimp at the Super Bowl & I WON?? OHMYGOSH!! AWESOME!! Yes TOfan. There is nothing like a live David performance. He looks a little like kermit in that pic, haha. zami….I have a feeling one day David will make it back to the UK. David loved his trip over there, I hope he does make it back to Europe and to the UK. I really hope all David’s international fans have the opportunity to see him one day. Everyone has come up with some humorous and creative captions. I really hope he’ll come back to Europe, at least just to promote his album like Adam L. did (his song is played on the radio and his music video is on TV). David’s charming personality and his amazing talent would be really appreciated here ! He said something about an international tour in his blog so maybe he’ll go to Canada, America Latina, Japan and Europe this time. After his performance for the New Year Eve, I hope he’ll do more TV promo (even if I was so nervous just watching the livestream lol). It’s the best exposure he had so far for this album and he did great ! Word going round is that the venues selected for a tour are based on CD sales in that particular area. I’m hoping Western NY will be considered especially for the Snowangelz) as it is a very, very close driving distance from Toronto! It’s encouraging that David was here for a Kissmas Bash Jam in Dec. ’08 and a solo tour in Mar. ’09; but if I use my Walmart as a measure for current sales, sadly it is dismal. Before Christmas, there were 12 TOSOD CD’s available on the day I went to the store and several were placed in the “New Release” section. *Gosh… I love typing his name 🙂 I wish this Walmart felt the same way and give him his own space on the rack! Anyhow… since then I have returned to the Walmart several times and consistently moved David’s CD’s to more prominent places – within easy reach and at eye-level. There are now 5 TOSOD CD’s for sale. I will be buying more, hoping it means a TOUR stop here — is on the way!! Nice seeing you here blue!!! Please David, please tour before I deliver this baby. PLEASE. "What? Embe's engaged? And she's pregnant?! Oh dang it! I'm too late." ((((embe))) lolol That is def what David is saying!! bluebar, several local stores sold out of his CD’s pretty quickly and I haven’t seen them replaced. How can they sell if they aren’t stocked. Don’t get it. With a few exceptions, he sells out all his concerts regardless of where they are. Way to go on your shelf arrangements! Love your caption! embe, you are too cute. Remember when David mentioned trying snowboarding in one of his interviews? No?… well he did, lol … just saw these tweets so looks like he went for it! @pastelpastel: just a few deg warmer 🙂 and park city rocks! and yeah, i teach skiing and snowboarding…come back and visit us soon! RT @lizmag3: @audknut haha you can’t tweet about spotting The Archuleta and NOT expect to get bombarded by questions by us fans. lol! hey, new twitter friends, how do i get fudgicle stains out of my david cook tshirt? So apparently they aired a promo spot for SBL at the People’s Choice Awards tonight (re a free download HERE)! I must have missed the interview where he mentioned snowboarding, but exciting that he went for it! 😀 I also just tried snowboarding for the first time last week! It was fun except I was quite terrible, haha. Hope David had fun and is not TOO sore (because I know I am still recovering)! Also hope he had a helmet because I feel and hit my head a couple times and was super thankful for my helmet, haha. Glad it was fun!!! You going to go again or was it not your sport?? I am planning to go sking one of these days….. but the days fly by…. I think I’ll do it again. Don’t want to forget everything I’ve learned. I was just getting OK by the end of the week, lol. Love the comment TOfan, from David’s Elevator YTube video. No doubt about it, David’s songs lift you up. I just got back to listening to TOSOD (the whole album) again today after the holidays and it was like receiving a special gift again. David’s music just plain makes me feel good! Nice little promo on the PCAs……a small mention is better than no mention! Free download for SBL too, hope it leads some people to his album. Laughed at the tweet about the site crashing! So true peppertara, His songs really do what he has said he wants them to do…. so in my eyes David is a huge success story!! Also, I don’t know why he didn’t receive more praise for his songwriting skills, the lyrics for this album are really great ! I live in central Finland next to a popular ski center, Himos. Now what could I do to lure David into coming here… Finnish mangoes? Well, there’s no such thing – no fruit would survive growing here. How about the weather? David loves -19 Fahrenheit temperatures, right? No warmth or humidity for that guy, right… hahaha… Dang it. ahhhh embe, you are hilarious…. Finnish mangoes FTW. Promo is promo>>> so giving away SBL will get peeps buying the cd??? Hmmm hope so. From what I gathered on twitter Melweg knew nothing about it?? How does that work?? On IDF people are saying that Jennette McCurdy tweeted about being in a snowboarding accident, but then deleted it… and David didn’t tweet about snowboarding at all, which is unusual for him since he loves to tweet especially when he tries something for the first time. And now they’re saying Jennette put the tweet back up. idk, might not tweet about it if someone else was there. Hope he got a chance to go though, everyone I know who snowboards loves it! I must just be a sucker for any thing he sings cause I love it. Maybe I have lost all objectiveness when it comes to him, lol. His voice sounds amazing in this song then, imagine him singing it now with his even deeper richer tone. tofan, I would feel as if I had died and gone to heaven if he does drift from pop and more into r&b. My secret wish. That said, I will follow him to my last day no matter what he sings because I can’t go without hearing that voice everyday, even if it was him singing the alphabet. Aaand here’s a leaked song called “Senseless”. I have no idea where it came from! Trying to decide what playlist I should put Senseless on. Think it’s a first album reject but it’s new to me now so can’t decide whether I should put it with the new stuff or the old stuff. Hmmmmmm big decisions I have here, lol. I’m kind of loving ‘Senseless’, maybe it is the R&Biosity as TOfan put it! Of course his voice sounds wonderful and I can imagine him singing it today…and it’s a new song we haven’t heard before, always grabs my attention. Wonder who leaked it. As emmegirl said, “I am a sucker for anything he sings”, me too it seems. Some R&B, soulful sounds in the future will likely happen, would love that too! Well, it looks like David will not be attending the J Sparks experience this year in Feb. (according to Melinda’s tweets) even though he was invited. Maybe they have something else planned for him in Feb. We will have to wait and see what’s up ahead. Caption : “Seriously? Free Pad Thai for me? As in forever free?! ?” :)) lol. I can’t think of any. “Jennifer Lopez, who has also joined the show, claimed that the judges were looking for an emotional connection with the artists, rather than “big voices”. “One of my favorite moments ever on Idol was not a big-voice moment but a beautiful song moment, which was David Archuleta singing ‘Imagine’,” she said. “That was something I’ll never forget for the rest of my life, that little kid at that little age taking that classic song and singing it in such a way that it changed my everything. Yes, I love what she had to say about David’s performance. The thing about “music that makes you feel something” is so true, especially when it’s David who is singing. I don’t know, it’s something in his voice plus his ability to connect and really feel the lyrics of every song he sings. When David truly believes what he is singing the connection between him and his audience is so very strong is it not? It is wonderful when others in the music industry acknowledge it! What? I’m going to have a full-time chef who specializes in Thai food? Cool! I think David Archuleta should come back to Manila, Philippines for the third time this year! Another DALIM for us, Filipino fans! (DALIM means David Archuleta Live in Manila) Because we simply love him! He got soooo.. Yes, I mean it, millions of fans here in the Philippines! Oh! He loves Philippine mangoes. And I need to tell you this: David Archuleta songs are doing well in several radio charts & music channel charts here in the Philippines! David being on top that simply means that we really love his music, we’re inspired by his music. For me, TOSOD is the best album of David so far, I got the regular and deluxe edition of it, so of course, being a fan I need to have the fan edition too? Right? So let me win this! And I’ll thank you for million times! “OH MY GOODNESS! A GIANT HALO-HALO*?!!!! EEHHHHHH. <3"
David Archuleta should definitely come back to Manila! We, the Filipino fans are so thankful that David already visited Manila, Philippines for twice! Wow, I think it would be great if he’ll come back for the third time or so..
Hello to all the fans from around the world! I agree…I think David should definitely go back to the Philippines and to Malaysia and also to Indonesia. I know he has such great support from the fans there, you are all pretty wonderful! I’m sure David will be going back to Asia (and hopefully for some full blown wonderful concerts)! We all want David to visit our shores and I know David would love to do that and give to his fans everywhere by performing for them and sharing his incredible music. All in time I think. 🙂 Love all the clever and cute photo captions here! awestruck…..”When David truly believes what he is singing the connection between him and his audience is so very strong is it not? So very true and I always love reading little blurbs and comments from others in the biz (and outside of it). More and more his incredibly artistry and versatility is being recognized and I think David is a highly respected artist in that crazy world of the music business. (How many 19 yr old singers are invited to sing with the MoTab)? 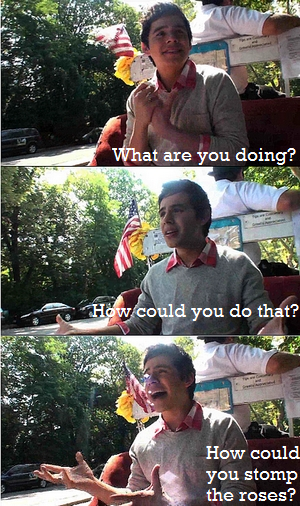 2011 is David Archuleta’s year ! Maybe a new beginning for TOSOD and so many other things, I can’t wait ! I hope that Malaysia, Indonesia and the Philippines will have real full concerts (not just small promotional shows). His fans there are so supportive, they really deserve it ! Will be drawing winner of the Fan Pack contest tonight & announcing winner tomorrow … thanks so much to everyone for your amazing comments & captions!!!! For me, I think David should have a tour again in Manila, Philippines cause the Pinoy Archies really really wants to see and watch him perform LIVE. As of now, David went to Manila 2 times and his fans are waiting again for his come back this year hopefully. He’s AWESOME fans here LOVE him A LOT and we’re always there to support him especially in concerts. His past concerts here were JAM-PACKED and filled with HAPPINESS because of him. Just want to share to you guys that some of his songs were featured in some TV shows and also in radio stations here in Manila. As his loyal fans, we keep on voting for his songs so it will be on the TOP-LIST in the music charts here in the Philippines. We really love his music and he inspires us always. David love the Philippine Mangoes and he also ate at Mang Inasal (Fast-Food Chain). I hope I’ll win the TOSOD Fan Edition cause it really means a lot to me. Super thanks to you guys! David should definitely come back to Manila, Philippines for another show! We don’t need anything, we need deets for his show! 😐 I’m excited to see David once again. It’s like two months before, David was here in the Philippines and all of the Filipino fans were hyped and went to his show at SM North Edsa Sky Dome. For me, I love David Archuleta for many reason, and one of the reasons is David inspires people thru his music and sometimes when I’m down, listening to David’s songs is a solution. I saw his interview with Seventeen Magazine Malaysia, he said he’s excited to have shows in Asia again! Woo hoo! I hope it’s real and yeah, I’d like to watch him again!